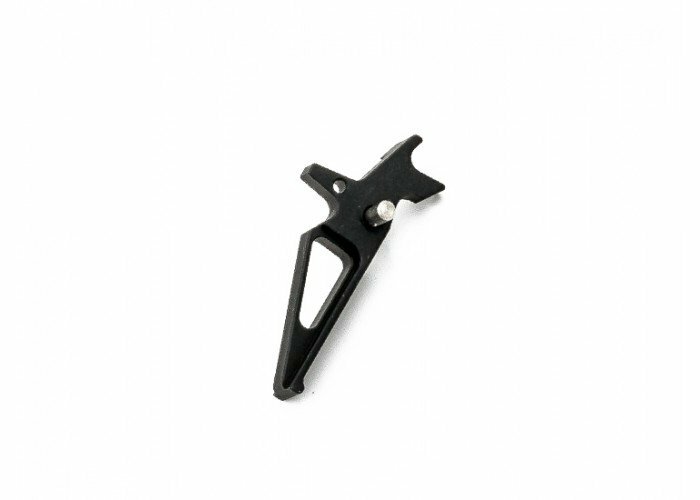 The SHS M4 Straight Trigger is a great replacement trigger for those looking to spice up the looks of their M4 AEG airsoft gun. The sleek part looks great and right away looks different from curved triggers found on most guns. It should fit most M4 AEGs, but cannot be guaranteed by Airsoft GI. Professional installation is recommended. Improper use or installation of upgrade parts are 99% of the time the cause of failures of these items. Please thoroughly inspect any parts for defects before attempting installation. Due to the high possibility of damage from improper installation, we will not warranty parts after attempting installation. Would this be an easy installation, or would I have to make some modifications to the gearbox and or some other parts inside the gearbox and trigger itself? Yes, it is a drop in piece.